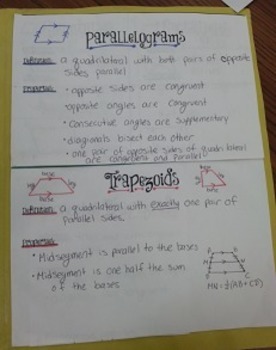 Interactive Notes for Quadrilaterals with Answer Key. 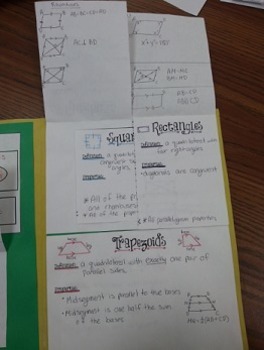 I had my students use a large piece of construction paper and write Quadrilaterals on the front cover. 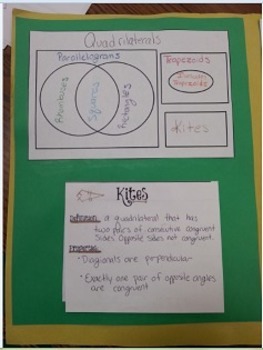 Inside they glued the Venn Diagram to the top left, Kites to the bottom left and everything else on the right. 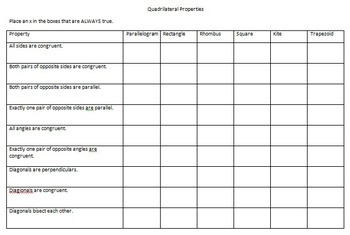 On the back they completed and glued the 'Always True' Properties chart.